Development of an enterprise website is a mind-boggling process, however, eCommerce website development has its own challenges. Since eCommerce website is built for online shoppers to visit the store and purchase products, developers need to go another level to make the process simple and intuitive for the customers. Creating an engaging eCommerce website requires a considerable measure of endeavors as there are various trends to be incorporated into eCommerce website design like animation, advanced filtering, 360-degree product previews and dynamic product search. Alongside these patterns, below given are a couple of other impressive components to incorporate into an eCommerce website in order to stay relevant and competitive. Product Pictures: These are the initial impressions a customer will experience what your store offers, so it is vital that photos are of high quality. It is worth hiring an expert photographer to guarantee that products look as engaging as possible and fit the theme of your eCommerce website. You should also display pictures from more than one angle of every product. The visitor is not able to look and feel the item as they would do in a physical store, therefore, are more interested in its appearance from different angles and perspectives. Photos from different edges help customers to understand the product completely and decide whether to buy it or not. Security Features: All eCommerce websites should support SSL to encrypts data that is required to stay secure. This is particularly valid for credit card and payment information, yet additionally any customer data like address, phone number, email, etc. Online shoppers expect that their important and personal information will stay secure when they make an online purchase, so ensuring that SSL is actualized is something that is significant for your online store. Also, security is required to meet PCI compliance for any business which acknowledges credit card payments. Coupons and Discounts: Coupons and discounts are not that important, however, an additional incentive for customers to purchase from your store instantly. Counting unique offers on your website while shoppers are influencing a purchase can provoke them to pick you over a competitor. Not just does it keep them on your website, it likewise holds them returning to check for more deals and offers in the future. Continually offering rebates can, obviously, be harming to your business, however, they can be valuable in driving more traffic to your website. Filters: Categories can be amazingly valuable when a customer does not know the name of a specific product or is just browsing through the website. It avoids endless scrolling through each item just to find what is needed. Customers can conveniently browse categories and including filters further disentangles the procedure by just showing items fitting that criteria. Factors like price, shape, color or size of the item could be the possible filters on your eCommerce website. Support Guest Checkouts: Companies with eCommerce websites need customers to create an account before making the purchase since this takes follow-up communication into consideration that encourages future sales as well as tracking customers’ demographic information to analyze sales. However, not every shopper wants to go through the process of creating an account to make the purchase. Therefore, it is a smart thought to give a choice to shoppers who just want to make a one-time order. At last, eCommerce web development is tied in with making the user experience of your website as coherent and pleasant as possible. 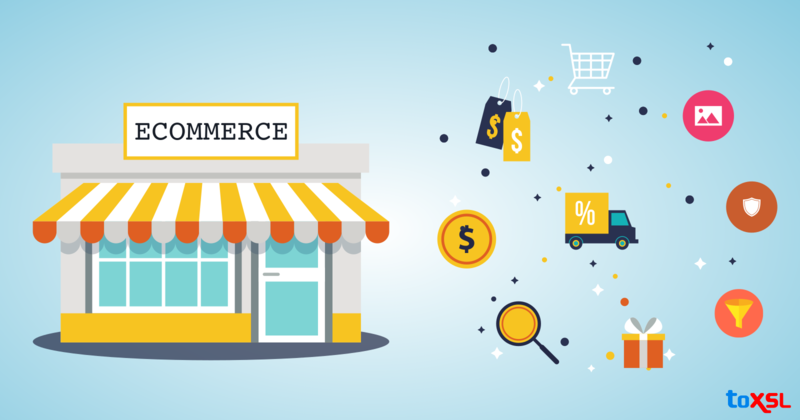 Keeping these aspects of an eCommerce website in mind amid development will enable you to guarantee that you are giving the best experience to your customers. If customers can without much of a stretch explore your website and discover items they are keen on, at that point this all aides in boosting your deals and developing your business on the web.